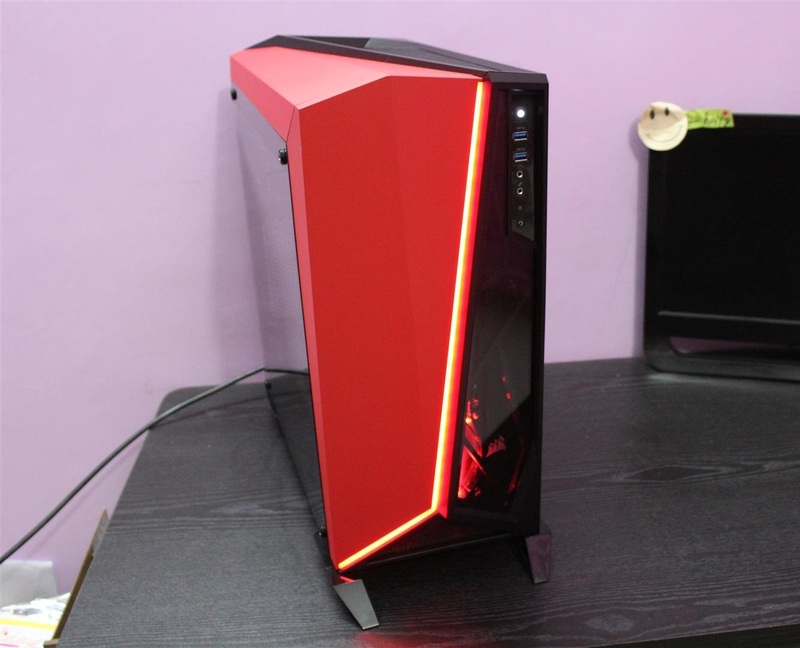 08 Mar, 2018 Rakesh Sharma Reviews . 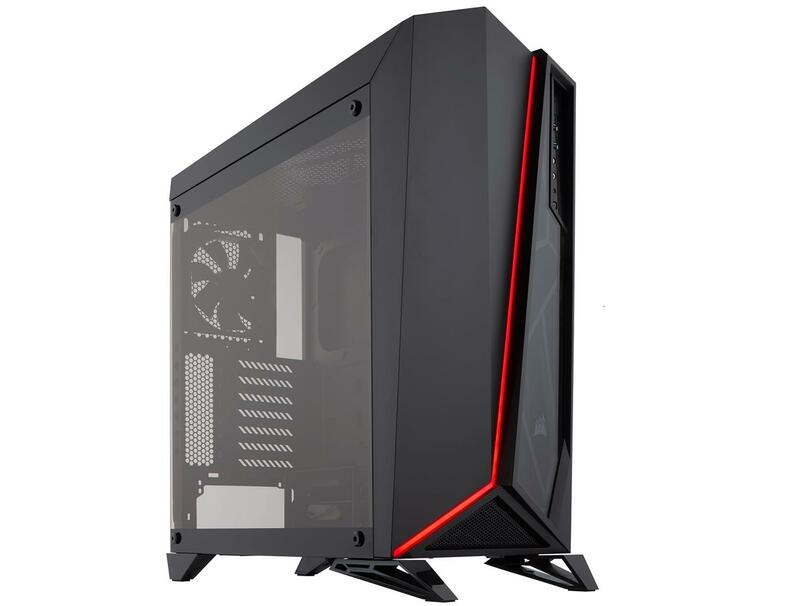 Corsair Carbide Series of cases are well known for their high quality material build and excellent design along with great price point in the PC Case market. 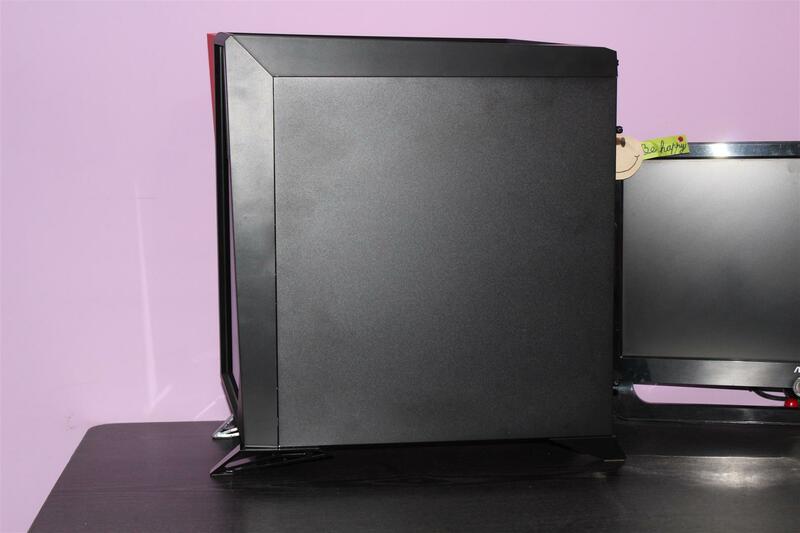 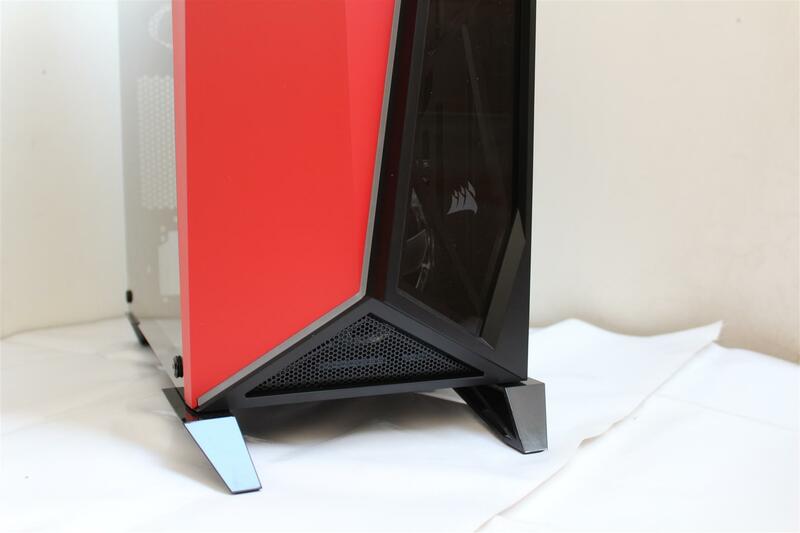 We have already reviewed many of Corsair Carbide Series cases. 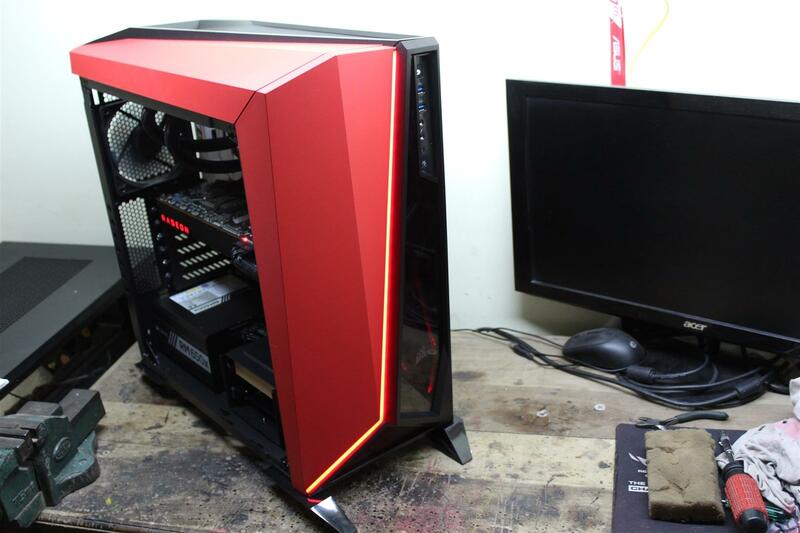 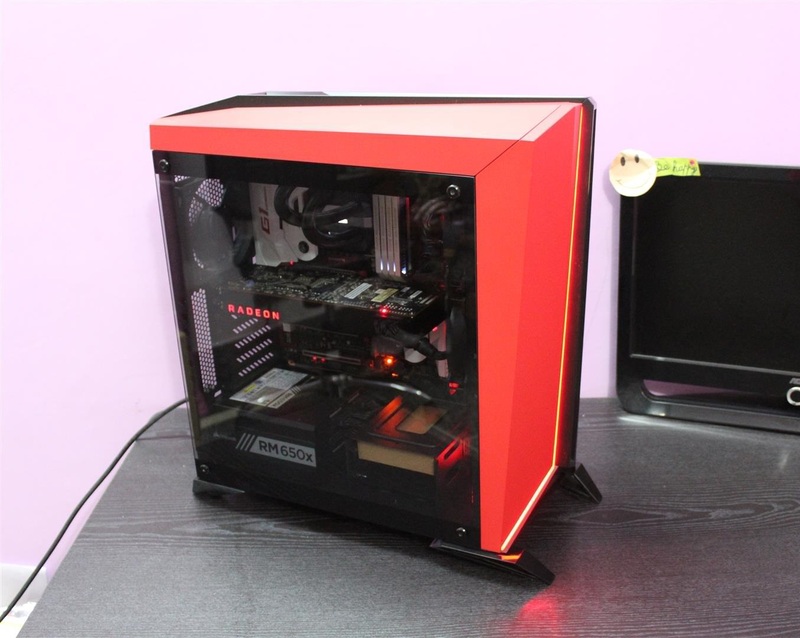 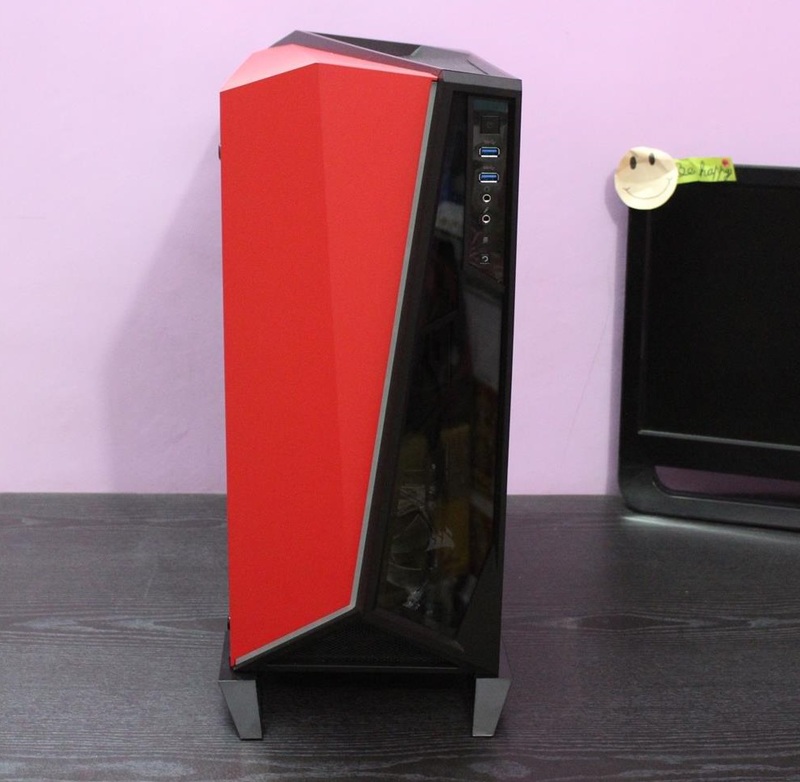 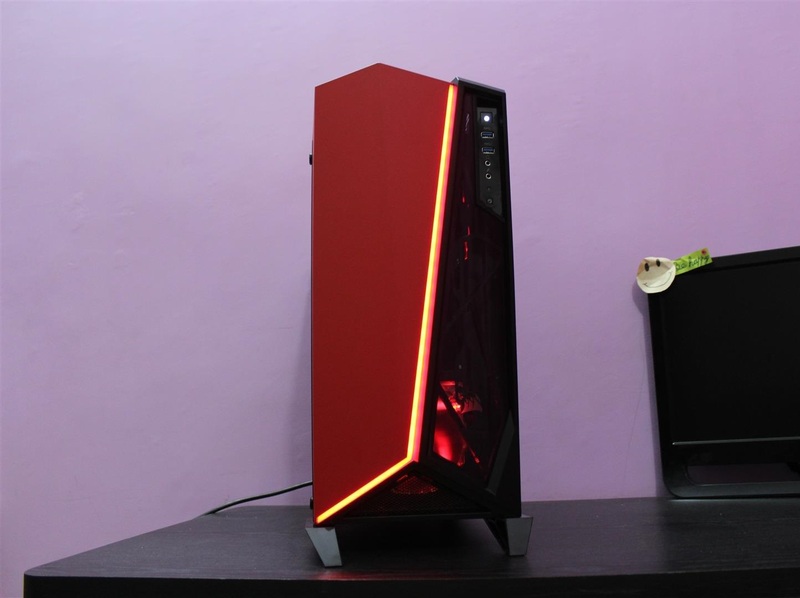 Recently we reviewed the Carbide Series SPEC-04, one of nice angular designed case with tempered glass. 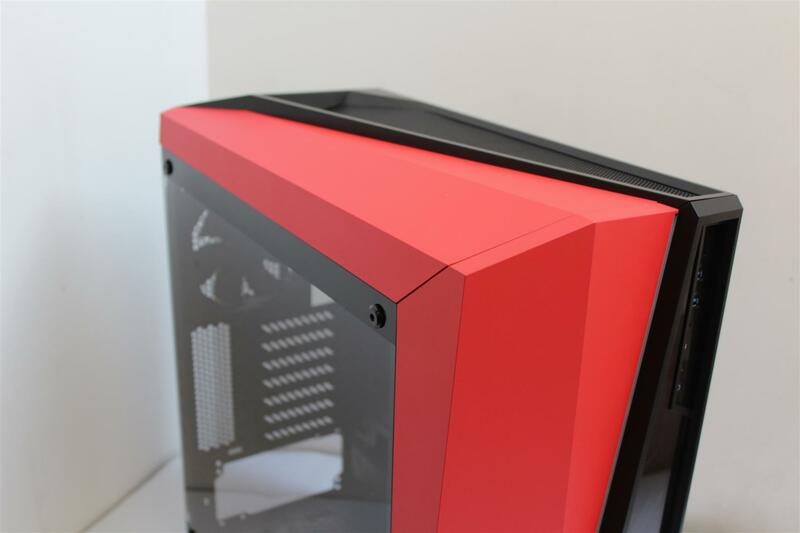 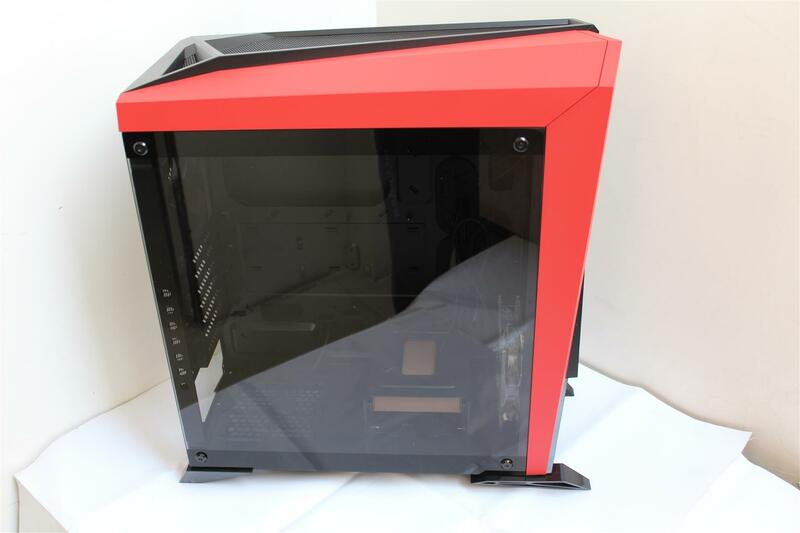 Following the same striking angular design, today we are reviewing the Corsair Carbide Series SPEC-OMEGA Tempered Glass Case. 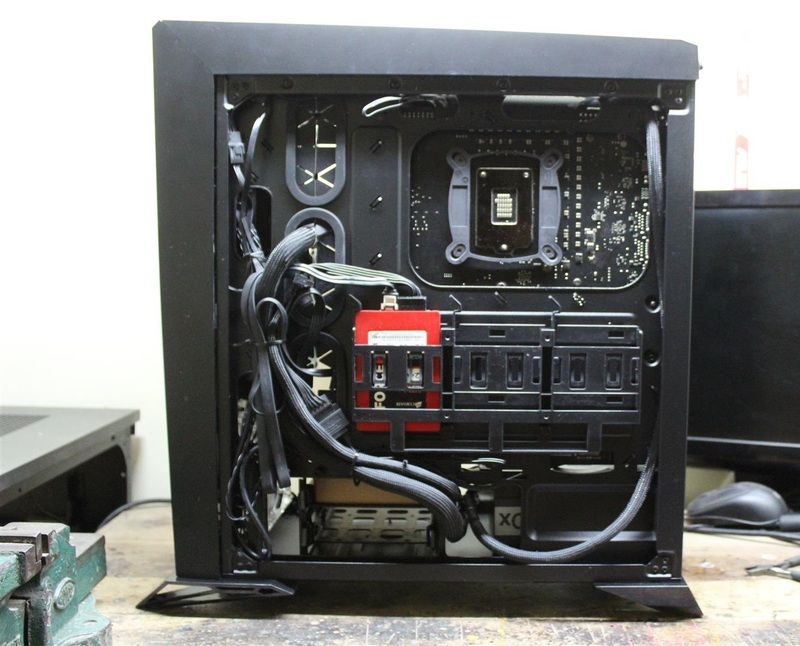 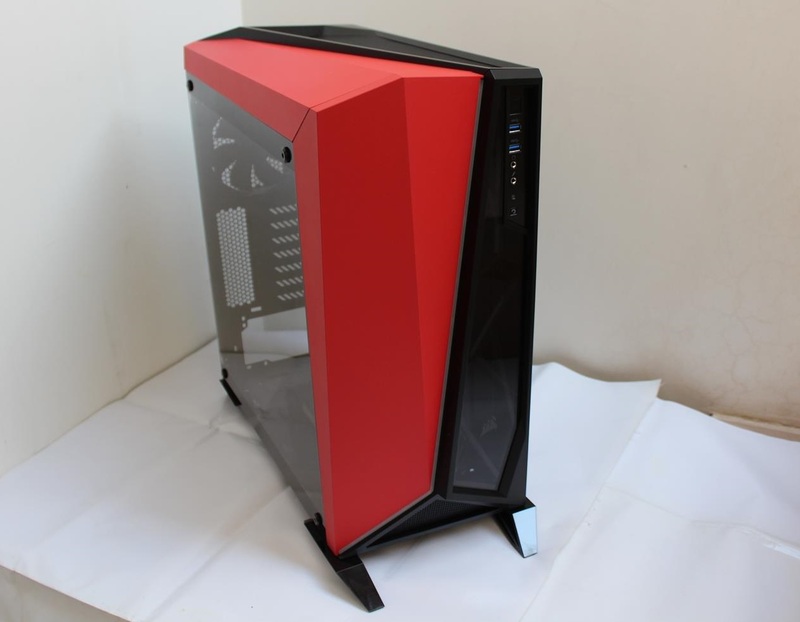 A mid-tower PC case with a direct airflow path cooling layout and unique tempered glass front and side panels . 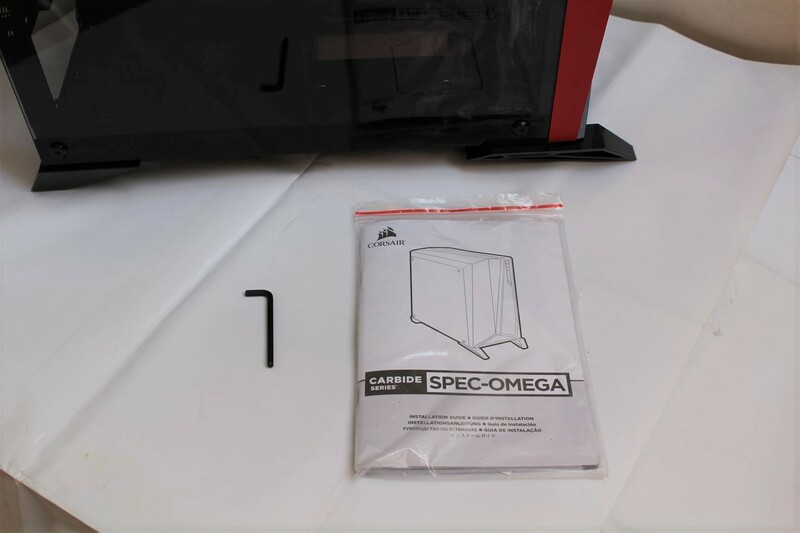 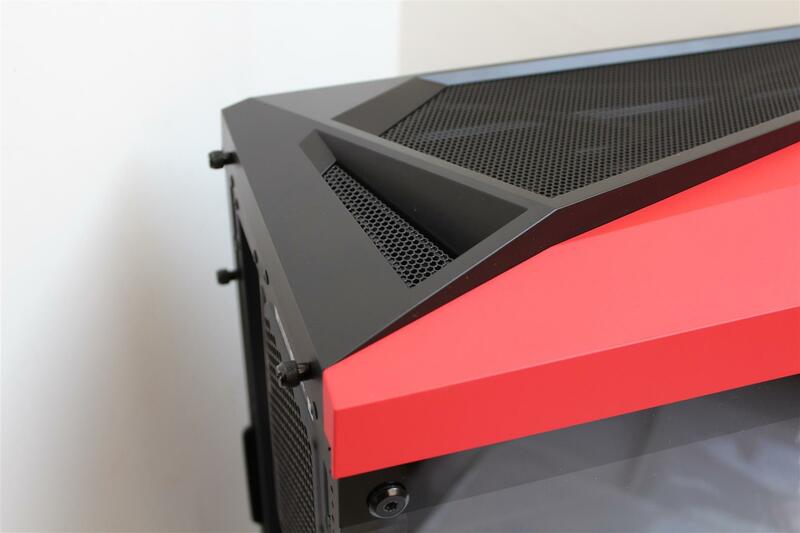 Now let’s have a look on what features does Corsair SPEC-OMEGA case have for us. 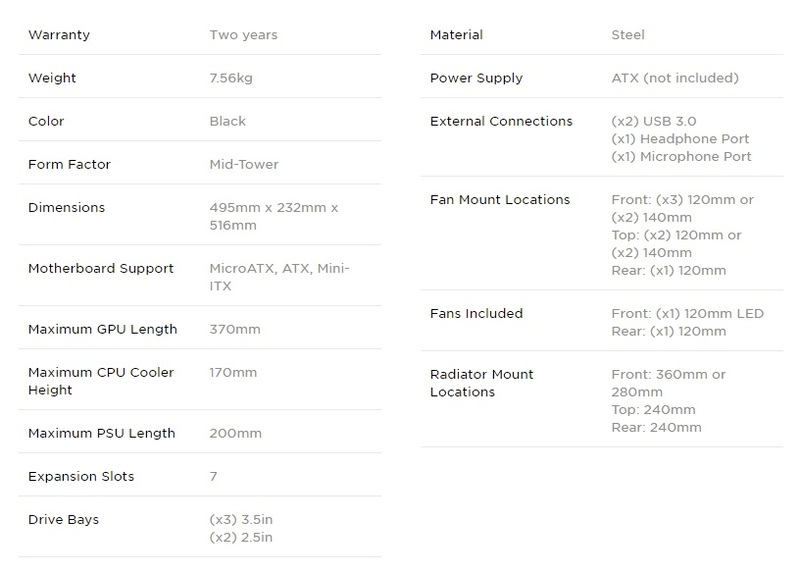 Standard plain brown packaging with product image and few paragraph describing features outside. 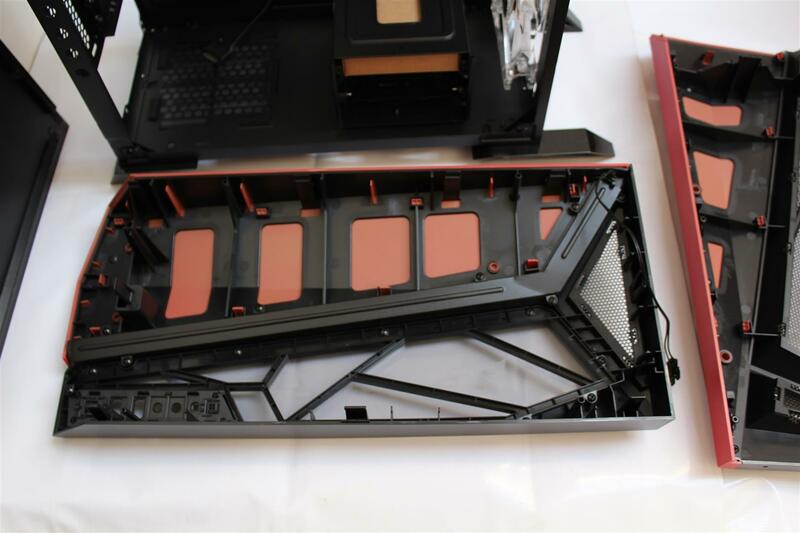 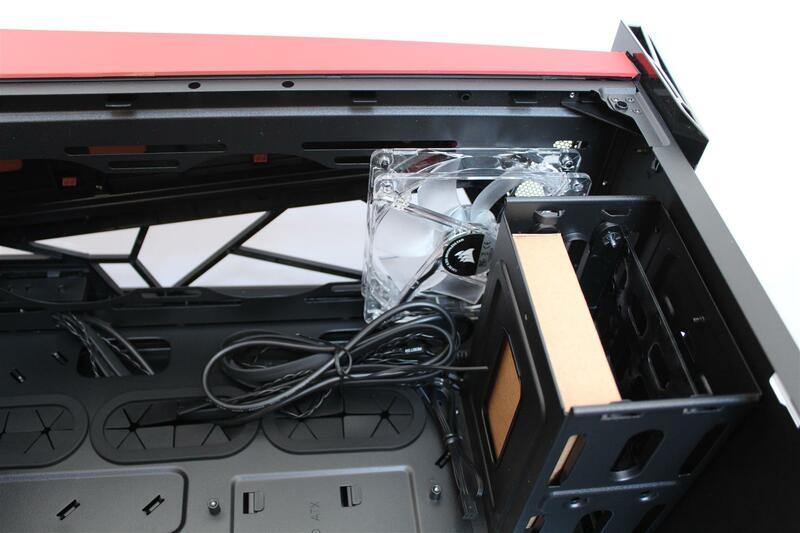 Bottom of the case have a removable PSU air filter and four big rubber feets. 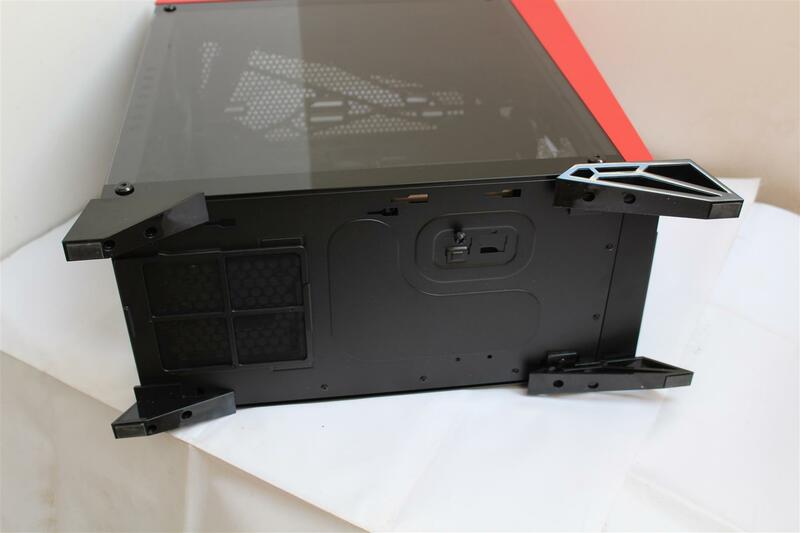 Tempered glass side panel is secured with four hex key screws. 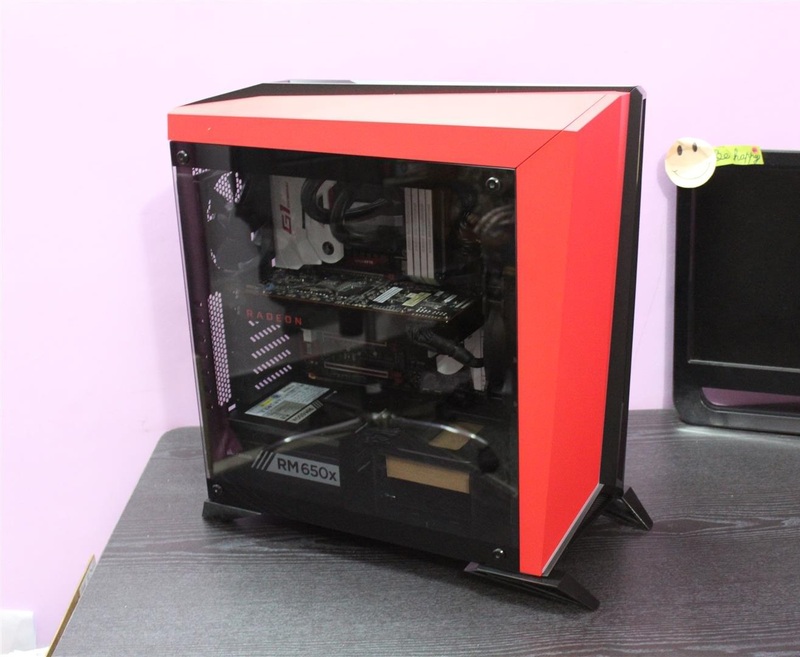 Being a compact design, case still have ample space for support upto ATX motherboard form factor and long graphics cards. 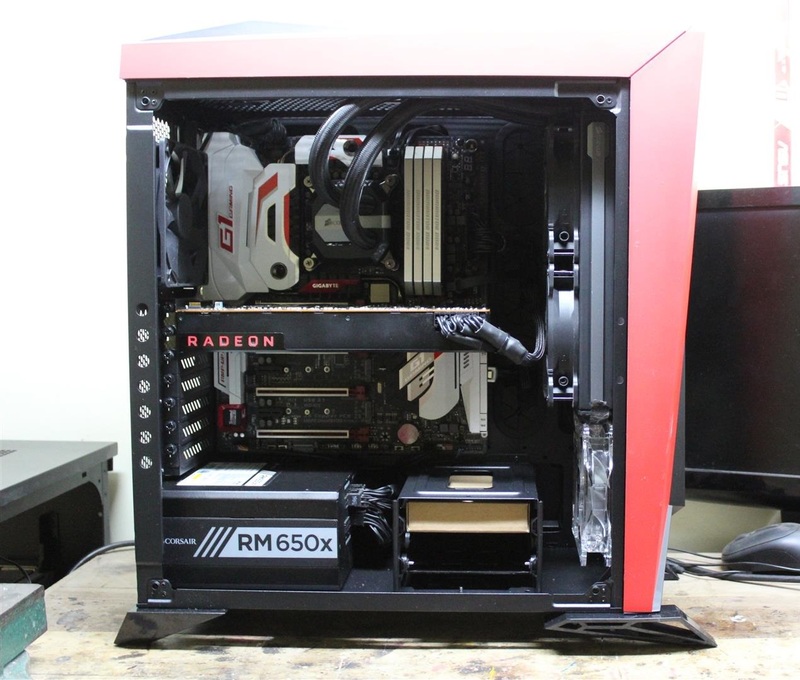 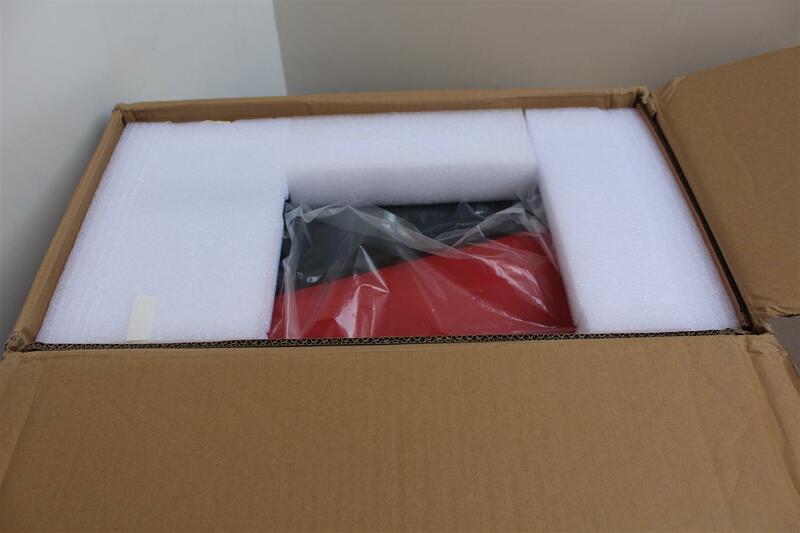 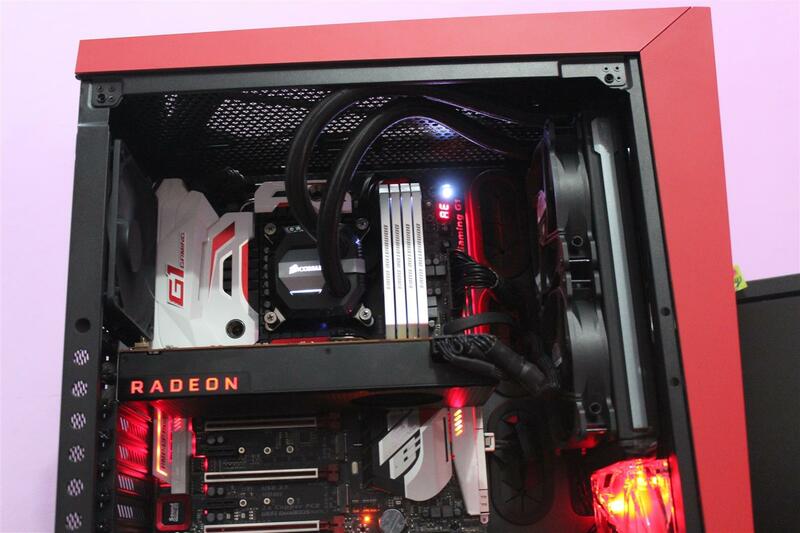 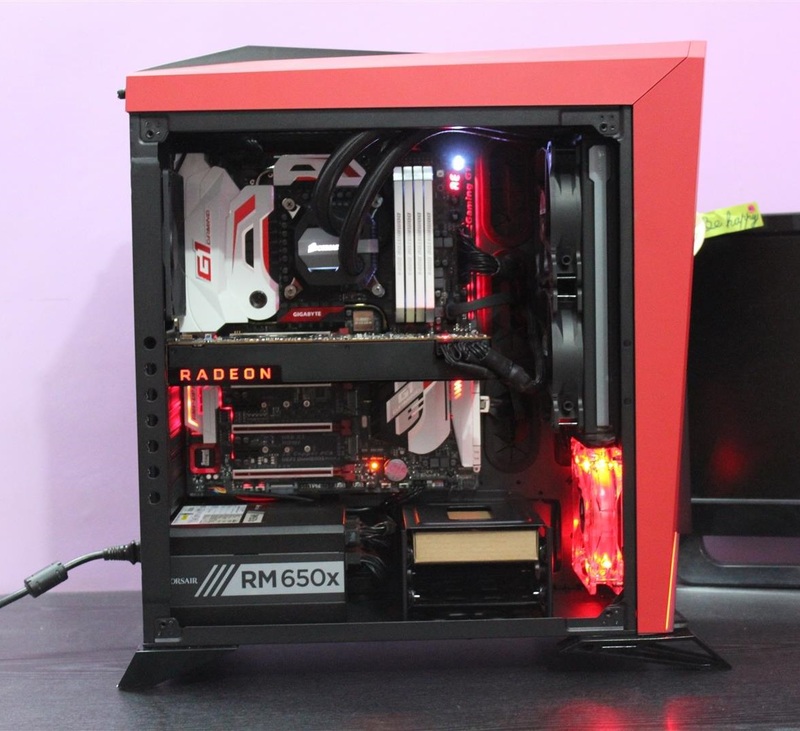 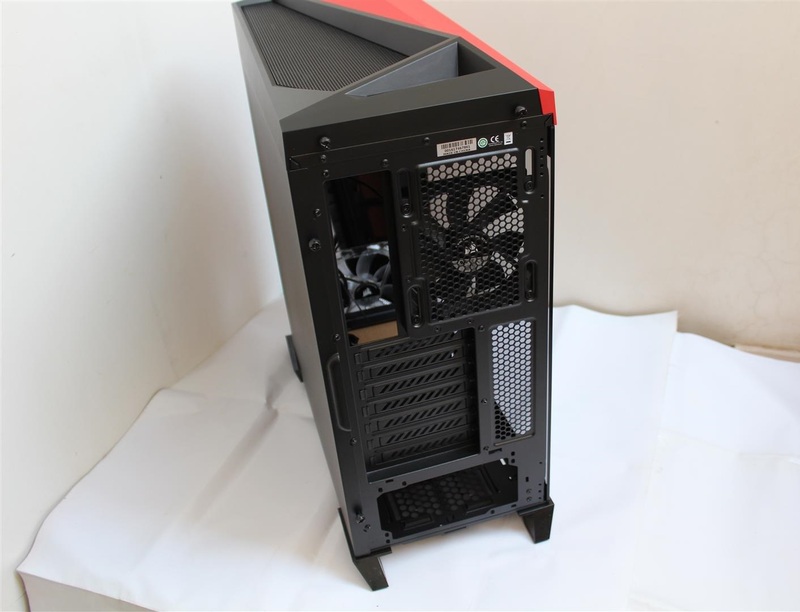 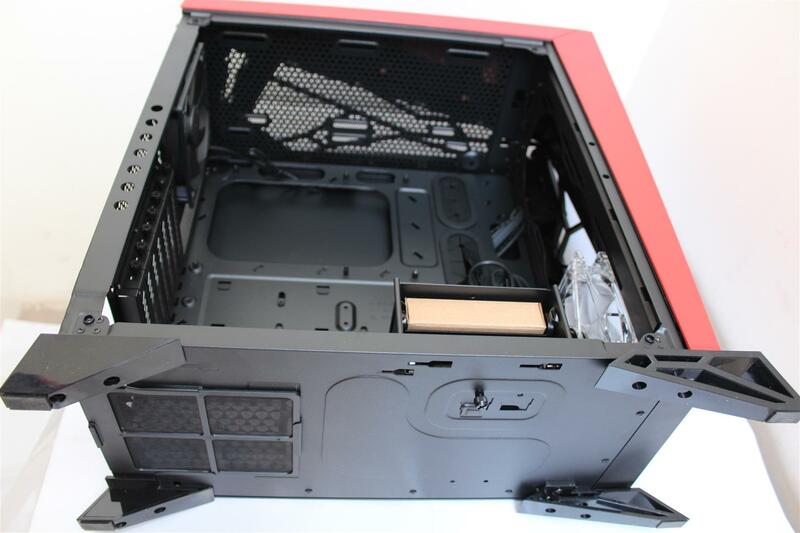 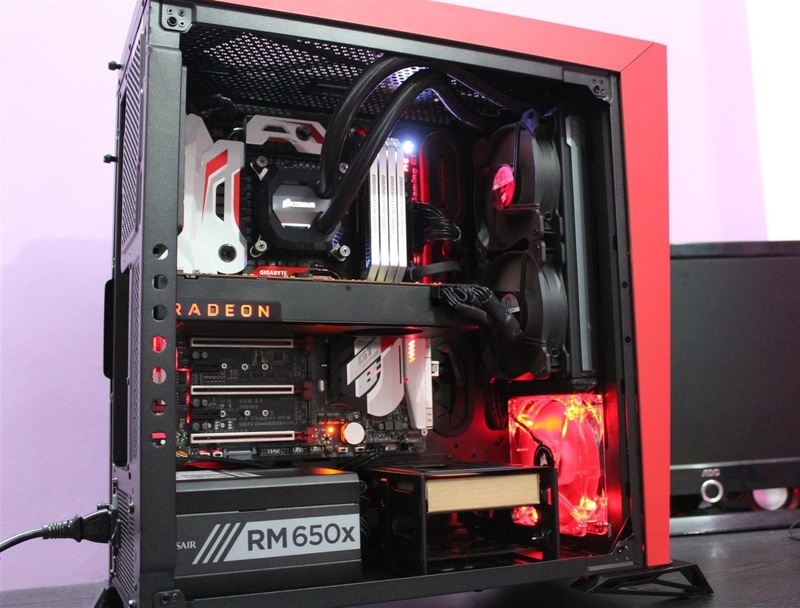 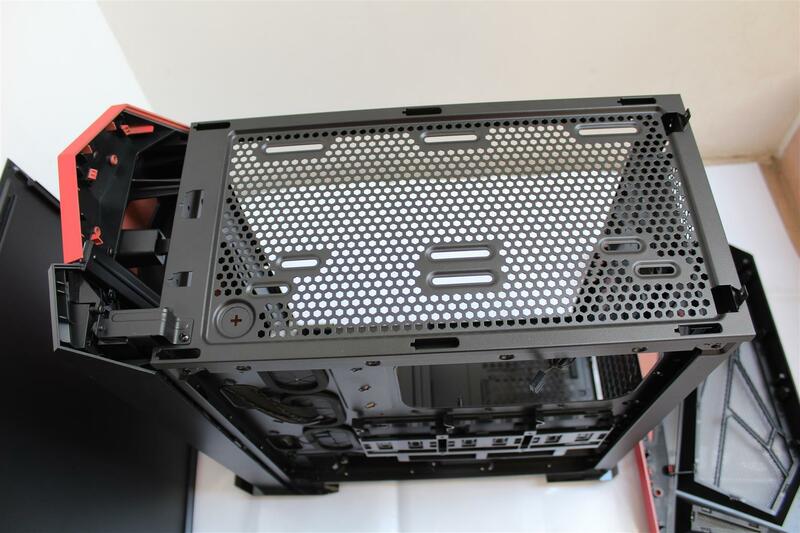 Case comes with one LED (red) fan installed in the front and mounting holes supporting AIO upto 360mm. 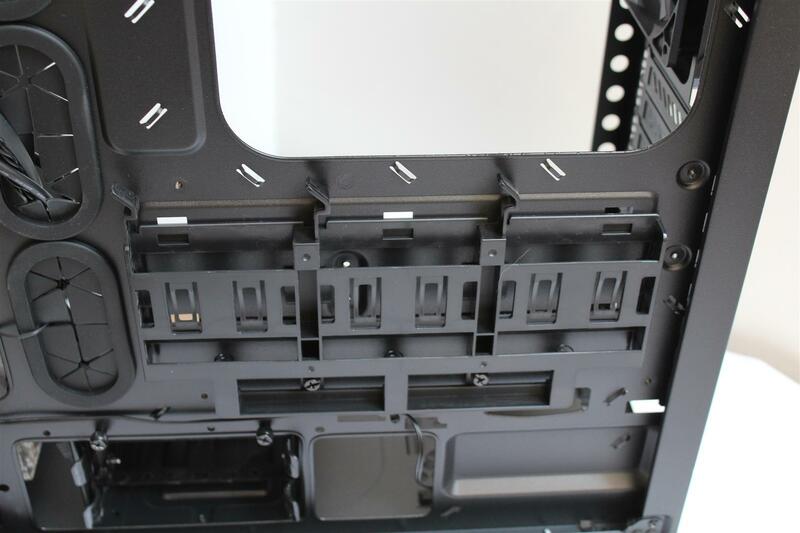 For storage we have support for tool free installation of 2 x 3.5” HDD drives and extra 3 x 2.5” drives can be screwed on to the tray panel. 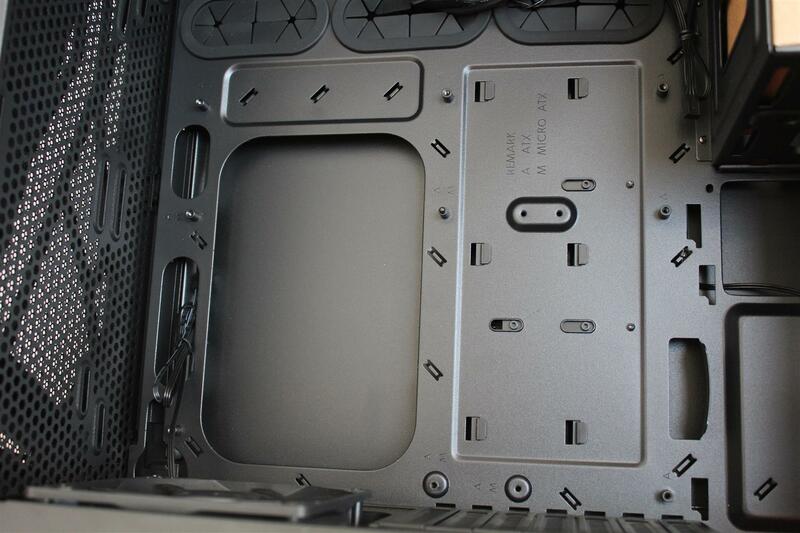 And the HDD cage is mounted via screws making it easy to remove if needed. 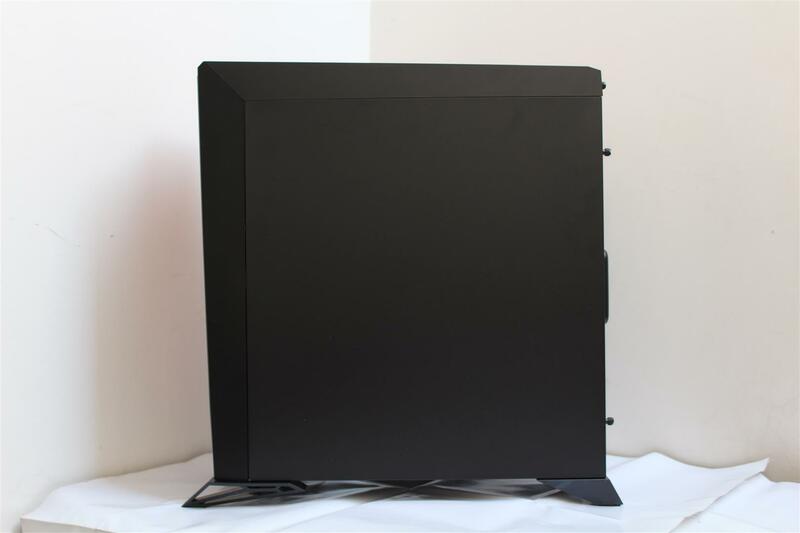 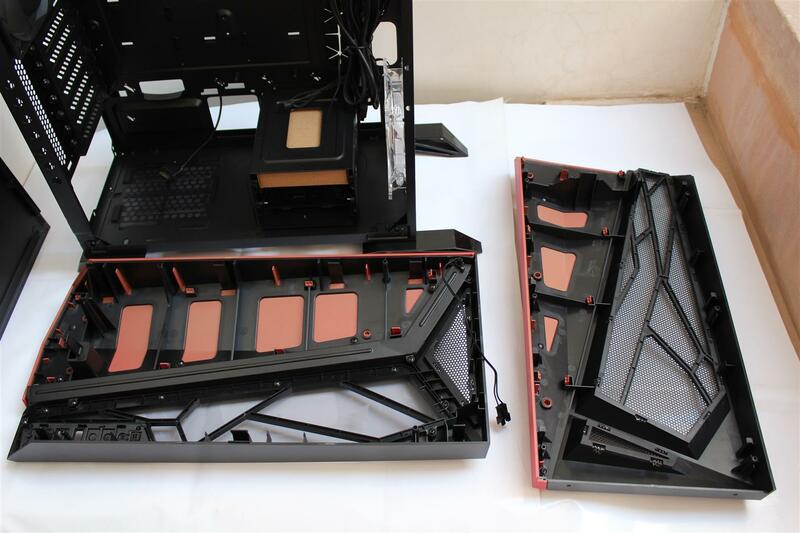 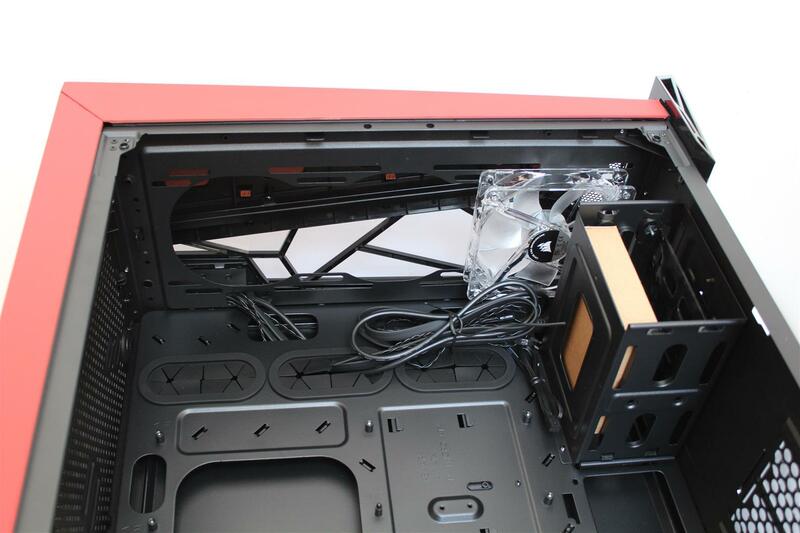 Top of the case have support for 2 x 120mm or 2 x 140mm fans or AIO (if your motherboard provide enough clearance) . 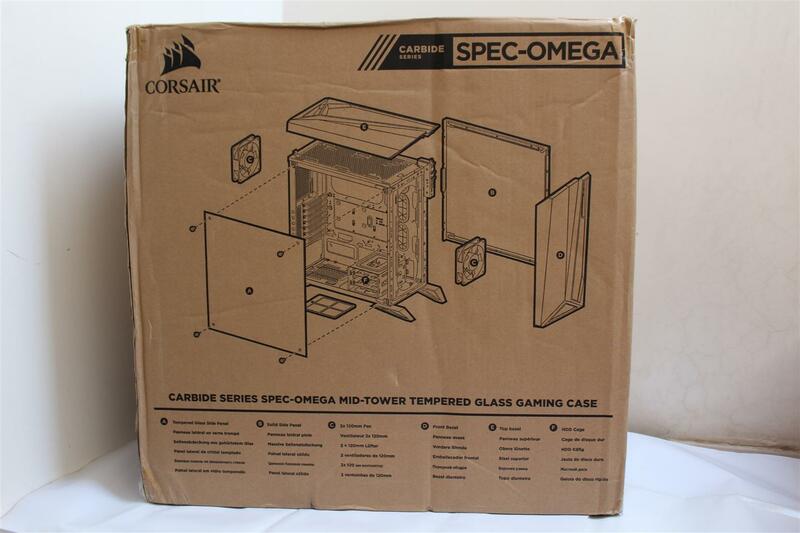 Case provides lot of space behind the front cover. 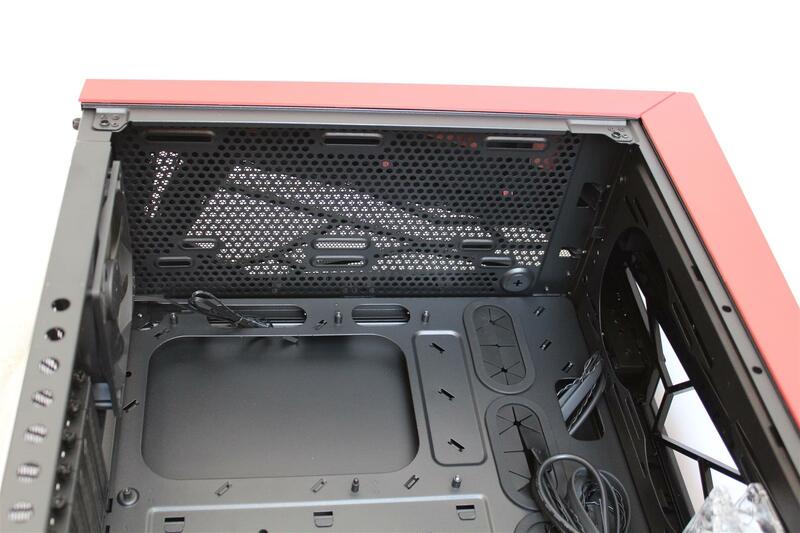 Decent breathing space for front three fans air inlet. 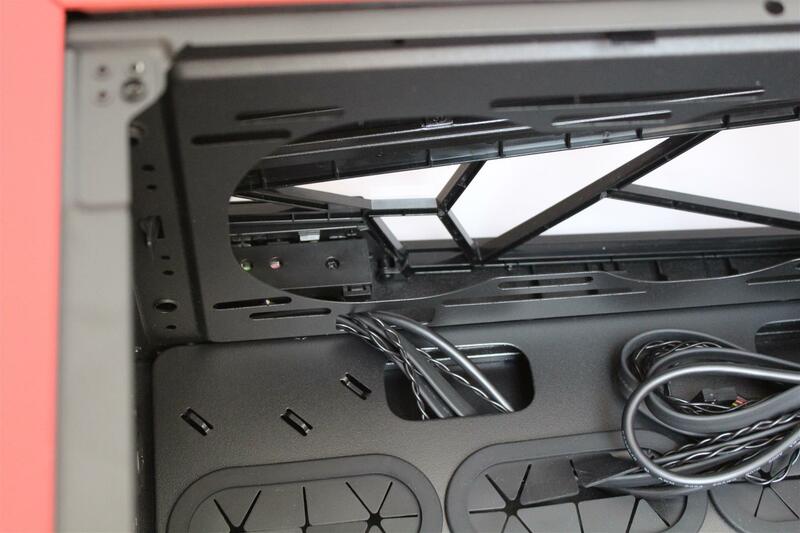 Installing hardware was easy and smooth in this case also as many other Corsair Cases. 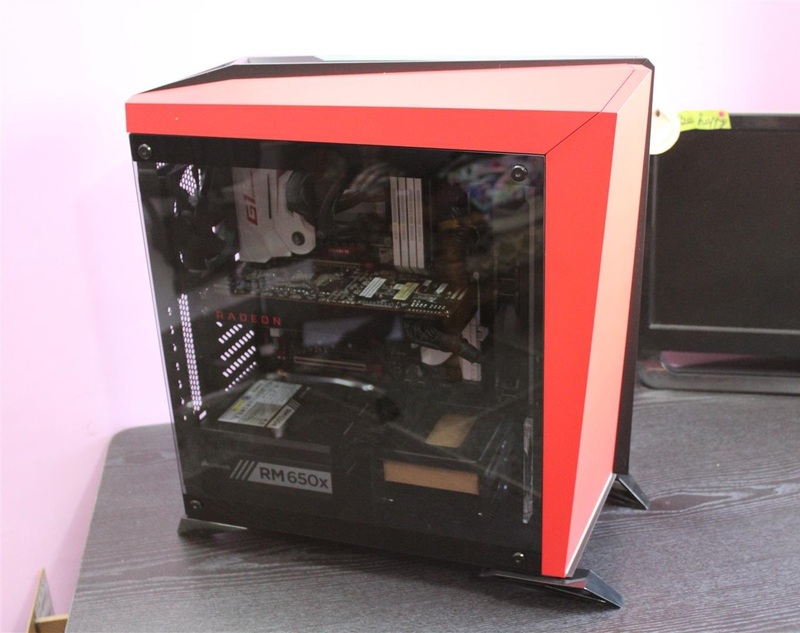 The whole tempered glass made the case look good. 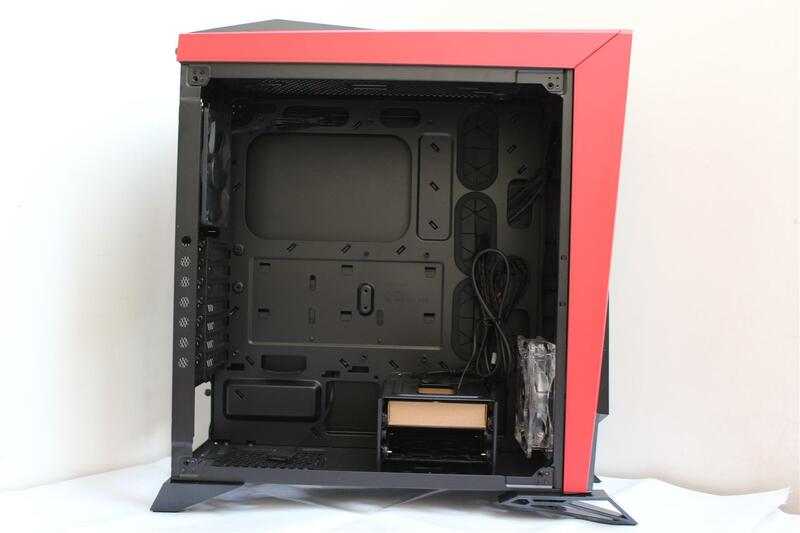 Corsair H100i GTX AIO is installed in front of the case. 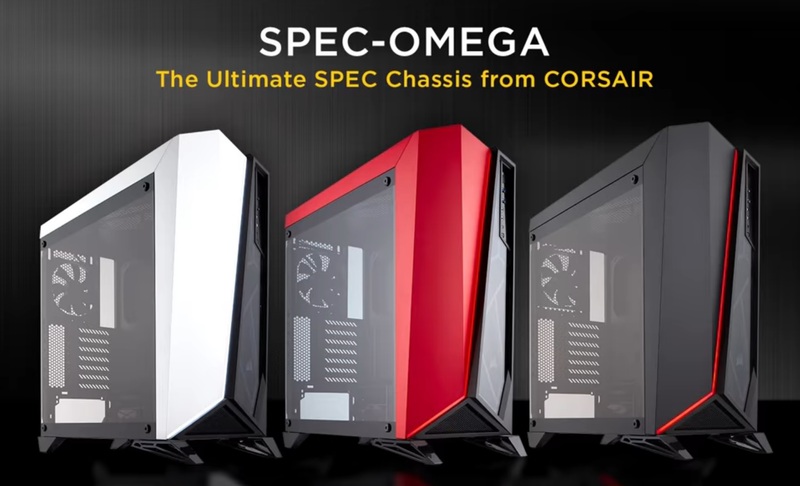 When it comes to design, looks and features in PC Case, Corsair has always stood ahead and with this new Carbide Series SPEC-OMEGA Case, Corsair ones again have given gamers and enthusiast PC builder a great mid tower case to build high end gaming PC around. 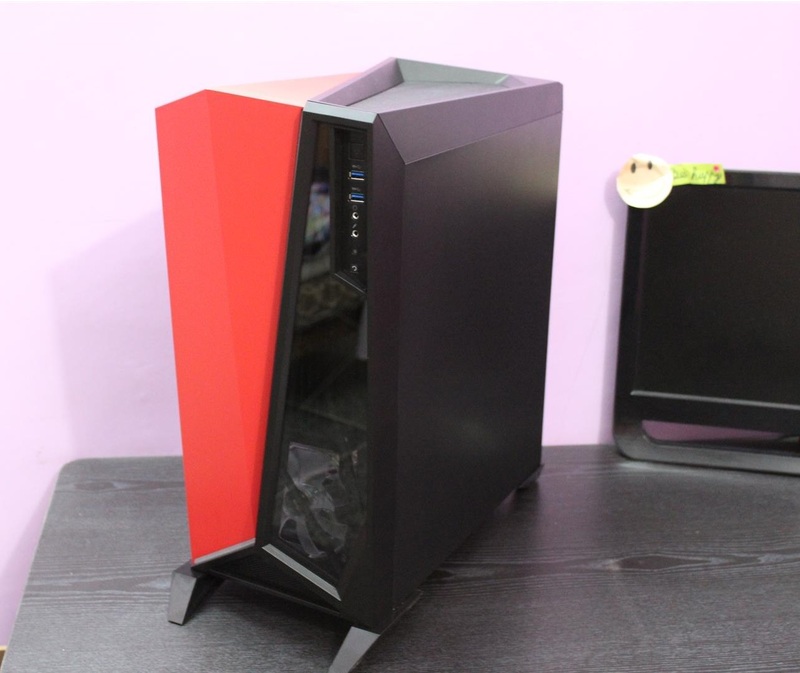 Case is having nice look with excellent air flow design. 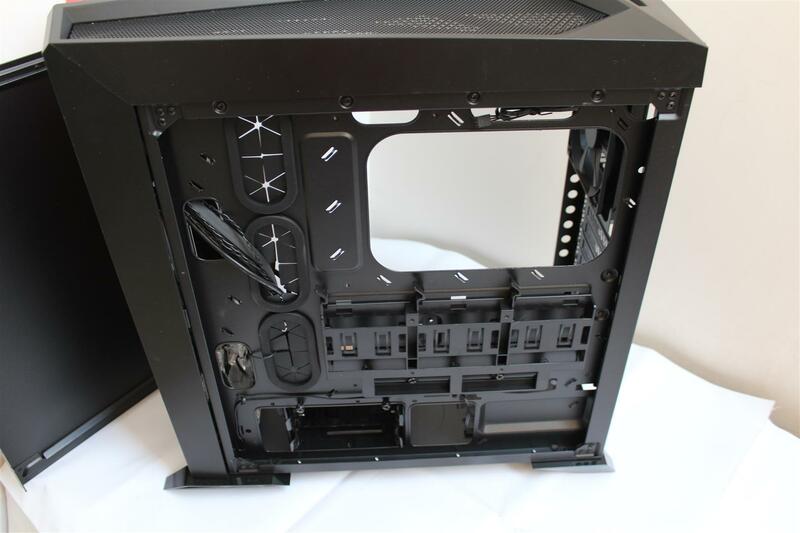 But the tempered glass side panel is secured with four hex key screws. 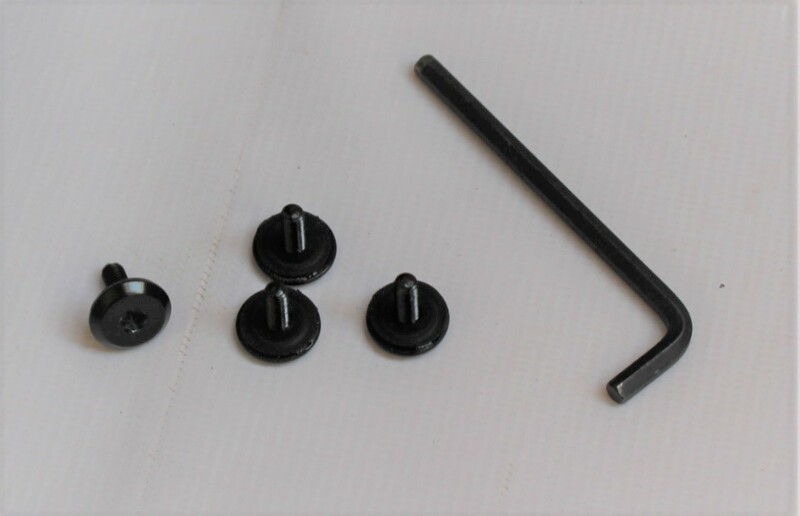 Although screws are having a rubber spacer but why hex key screws instead of thumb screws. 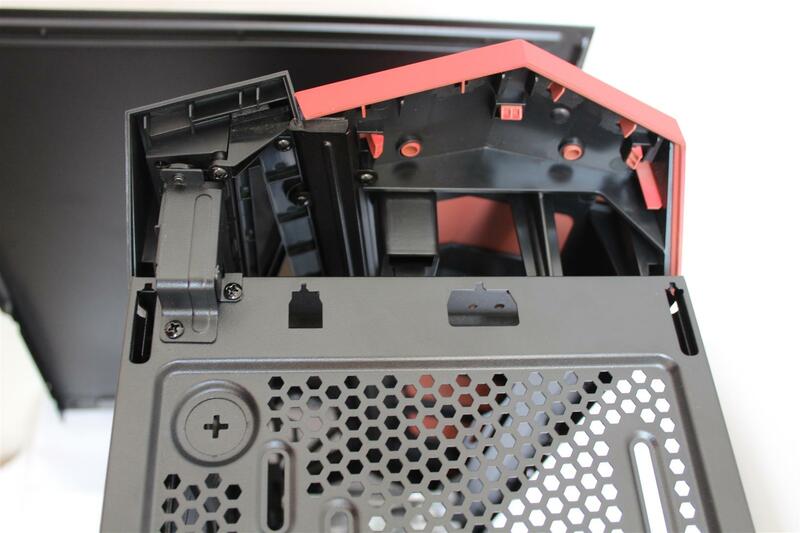 Every time one has to hunt for the hex key to open the case. 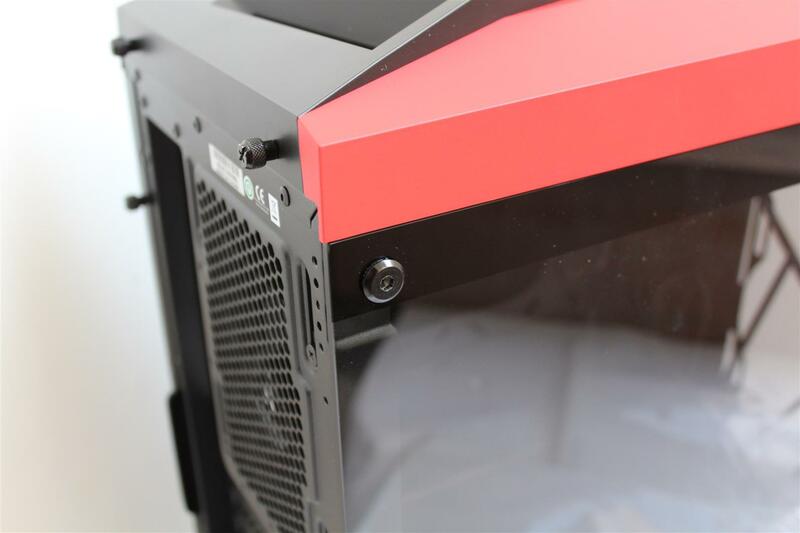 And most concerned part is that the screw hole is very close to the corner of the glass and if somehow user over tightens the screw, the whole tempered glass can shatter into tiny pieces. 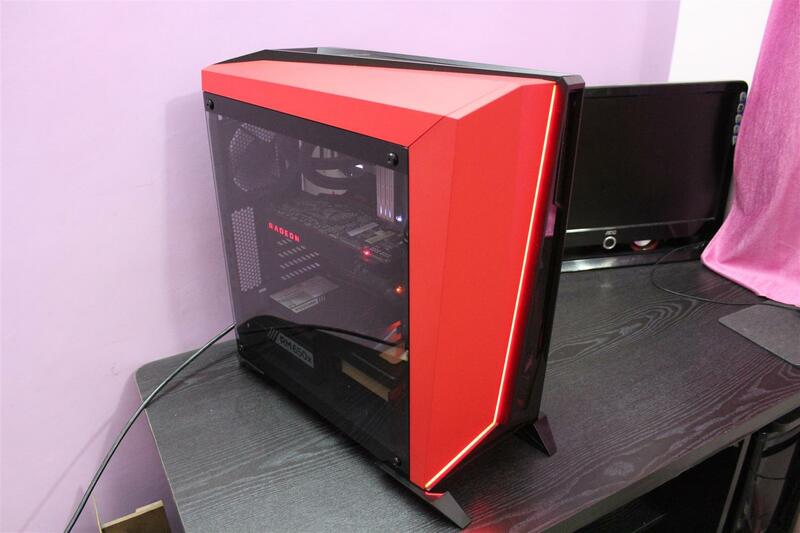 Finally at a price tag of Rs.8.5k(approx.) 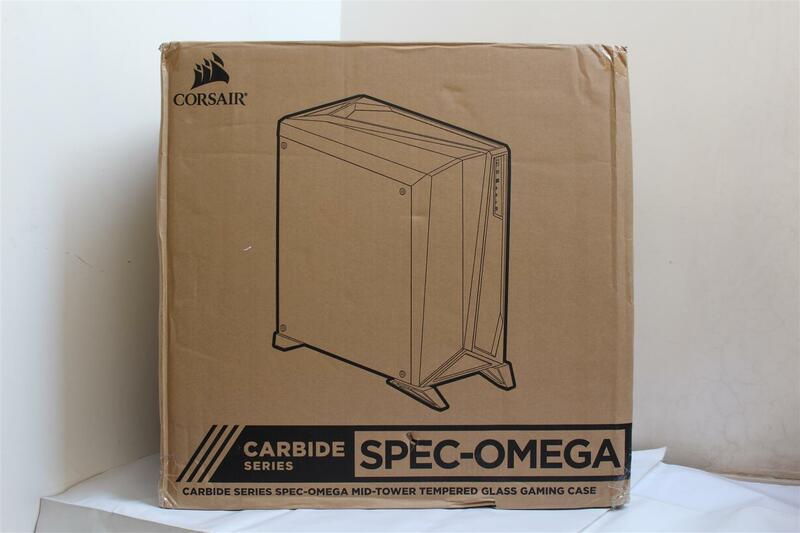 Corsair Carbide Series SPEC-OMEGA Tempered Glass Case is slight expensive in the range, but with tempered glass in side and front of the case still makes it one of the best showcased high end gaming PC case. 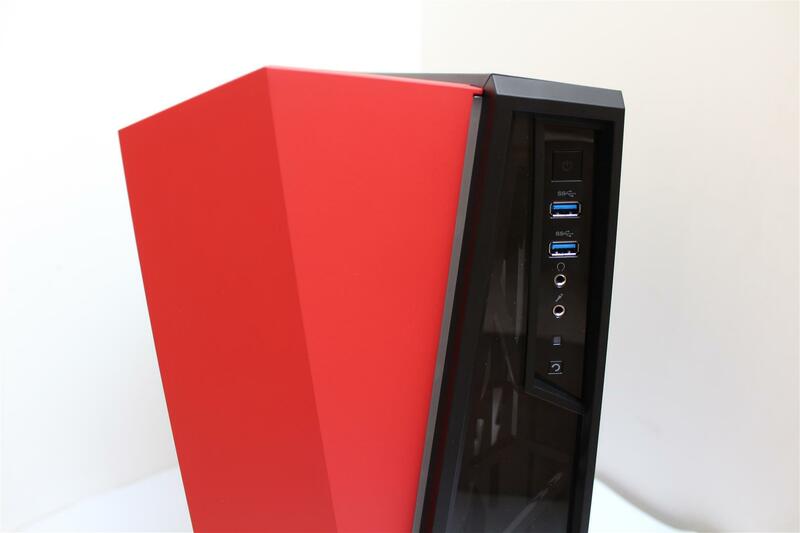 ASUSTOR adds support for Seagate IronWolf® 110 SSDs! 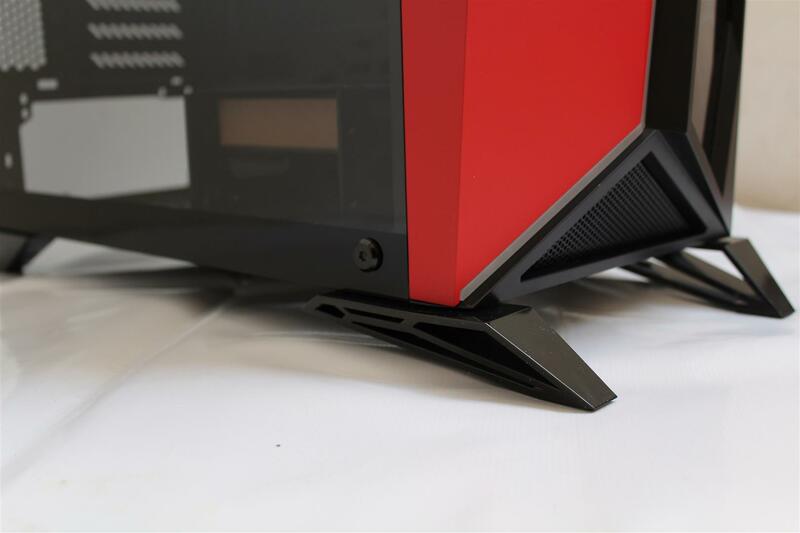 Submit your articles, reviews, previews, tutorials, guides or comments by just sending me an email at mail@pctekreviews.com. 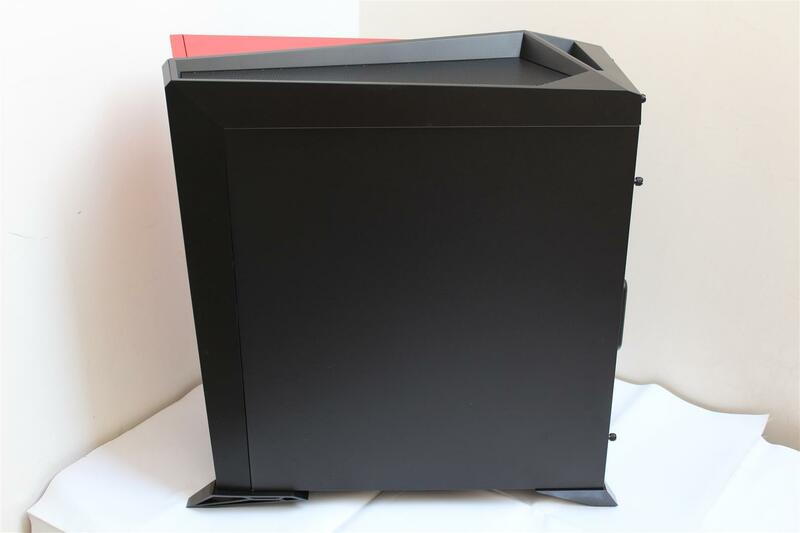 Let’s share our knowledge with whole world. 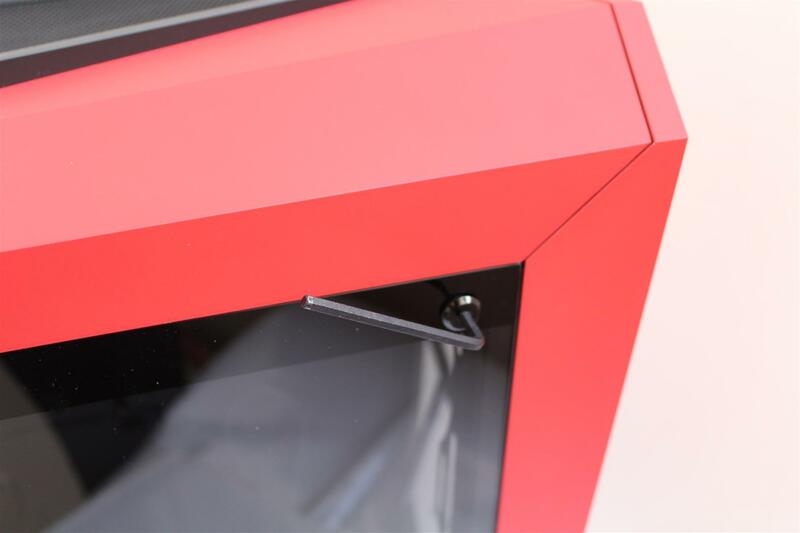 Be the first to discover our new reviews, previews and the events of the website. 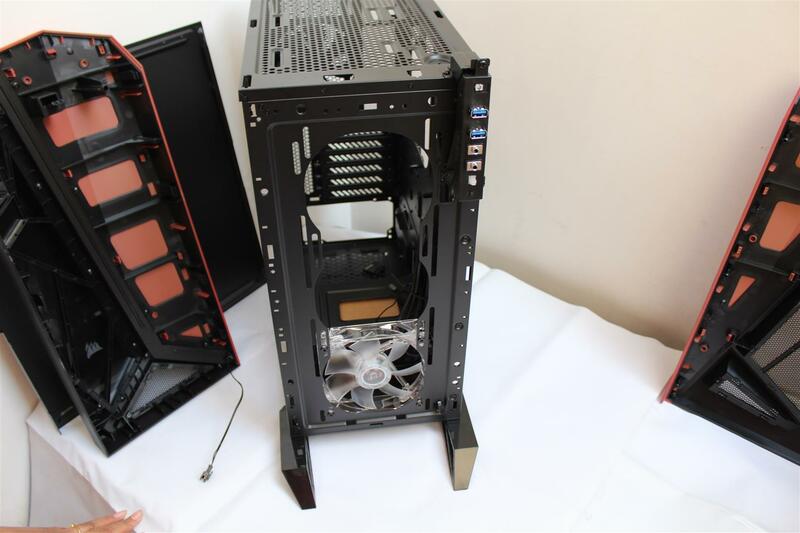 © 2016 PC TeK REVIEWS, All rights reserved.